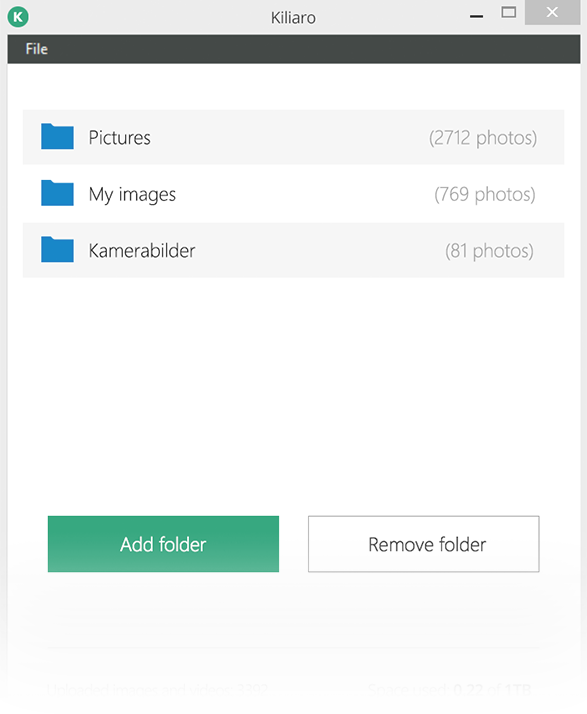 Install Kiliaro on your smartphone, computer and tablet so that all your photos & videos are safely stored in the same place and you can access them from anywhere. 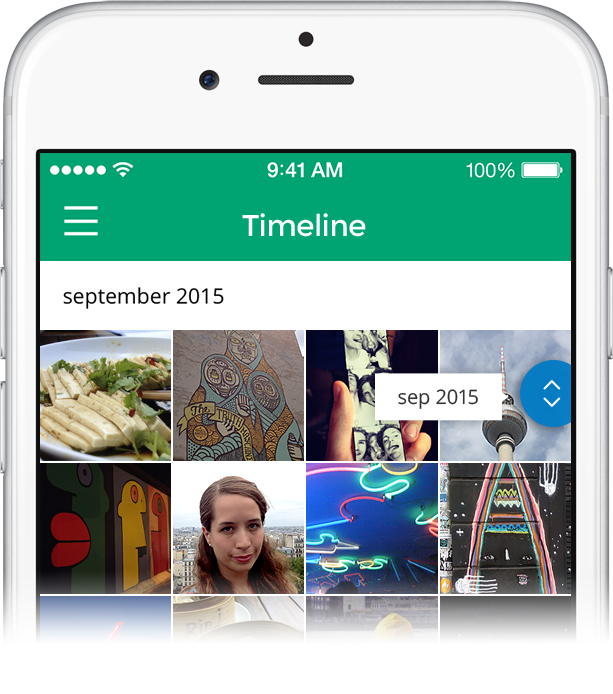 The mobile app uploads your phone's photo library to your safe and private Kiliaro account. This way you will no longer need to worry about loosing photos or videos, or about running out of space. Once the files are uploaded you can chose to clear your phone. The Kiliaro timeline lets you scroll back years in your life, rediscover old memories and share them with your people. The desktop apps allows you to choose the folders that you want to upload from. The upload is done seamlessly in the background and you can use your computer in the meantime. If you shut down and restart, the upload process resumes and keeps going until all your files are safely stored on Kiliaro. If you put new files in the folders the app detects and uploads them as well.